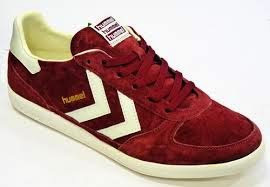 In the 1970 informality became intertwined with the cult of health which had a marked effect on footwear. Keeping fit set in motion a movement which affected all ages. 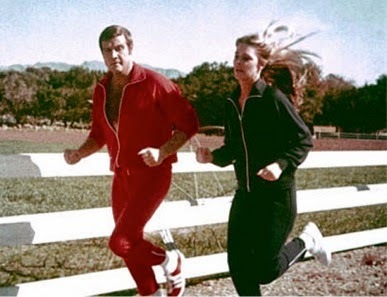 Icons like Jane Fonda set the trend to exercise but not only to feel good but to look good too. All of which was quickly encapsulated into a new sartorial awareness. Whether at the aerobics’ club, or in street, hip hopping, shoes had to match the outfit and a very hungry market was created. 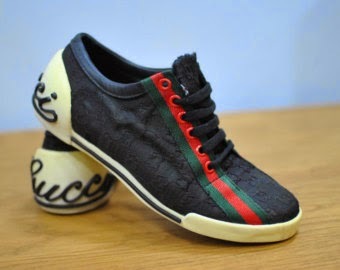 To keep demand high, the giants like Adidas, Puma and Nike produced what were virtually fashion ranges. Each season brought new design modifications, colour combinations and logos, most of which were ruses and had little to do with improving the efficiency of the shoe for exercise. The fad for keeping fit passed but the trainer market was established. The young enjoyed the exclusive, designer element and older people found the broad based cushioned footwear comfortable too. 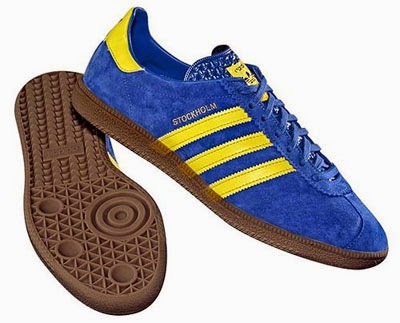 Cost was cheaper than traditional footwear and fashion accessories such as track suits were popular with young and old, alike. Celebrity endorsement and support from medical experts confirmed the trainer in its various guises had well and truly arrived by the 70s. Marketing was unashamedly targeted towards inner city youth, mainly Afro American, Hispanic or Asian and the shelf life of designs was deliberately very short, rarely lasting many months. Anything the youth market deemed uncool, died. Meanwhile in glamourland sixties unisex transformed into androgogeny as the Kinks sang 'boys will be girls and girls will be boys’. The mixed up world of teenage sexuality experimented with dress crossover. 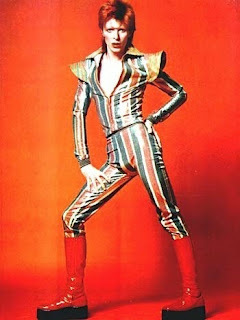 The Thin White Duke (aka David Bowie) was certainly not stuck in the cupboard when it came to express his female side on stage and Ziggy (Stardust) definitely wore the boots and shoes to be seen in tights. A counter anti-fashion movement appeared in UK and Europe let principally by nouveaux skinhead movement. Rejecting the heavy underground music and the hair and loons it was back to basics with utilitarian uniforms which were unisex. Bomber jackets, fitted shirts, Levis & braces with Doc Martens boots were the style. The once ultra conservative Dr Martens shoes became the trademark of urban youth excited by violence. Dr Klause Martens of Munich invented his air condition soles in 1945. The inspiration came from a personal injury he experienced when skiing and wanted to wear a comfortable shoe. He started to produce the air sole in 1947 but its popularity took until 1960 to peak. DM became the uniform of youth harnessing the aggression of the storm trooper into the macho urban dwellers. 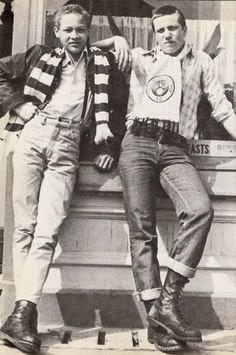 British skinheads made it their own in the early seventies and used the DM as Bovver Boots with which to shatter the complacency of the bourgeoisie. Skinheads were not the first to do this and in the seventeenth century young men called 'footpads' terrorised the highways and byways. As the decade unfolded DM's were readily adopted by all and became a youth phenomenon. The effect of ambivalence presented the ultimate paradox of style, worn by women and gay men the shoes at one level project the macho aggressiveness which belied the real feelings of the wearer. It is indicative of the confusion of roles and the blurring of distinctions as the seventies progressed. 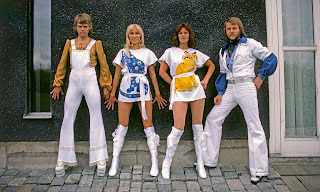 Disco was in its heyday with the glitterati decked out in glittering boots, sometimes thigh high. Part of the allure of the shimmery footwear was to gain height for the more height challenged artists but also to highlight the fashionable trimmer look which prevailed at the time. Saturday Night Fever brought a return to marathon dancing for the masses and trucking right in platforms became the business. Greek actors used to wear raised shoes to tower over their audience. As they swaggered across the stage females in the audience went into sexual ecstasy. 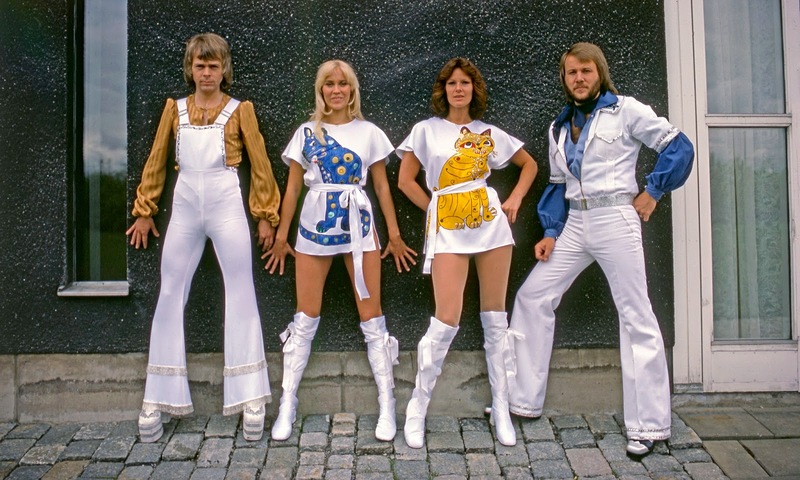 Rod , Elton and Gary , all had their platforms but it was Abba , the Swedish sensation that were to capture the image and imprint it on gay carnival ever since. A brief rediscovery of rock a billy brought 50s clothing back into fashion with Brothel Creepers resurrected. These were neutered however and no longer the sign of youthful rebellion rather a shade of their former glory and like the imitation crocodile and leopard skins they were made from. all contrived bad taste. Enter Malcolm McLaren and Vivian Westwood and retro fifties became PUNK . A return to more simplistic music for a significant demographic the generation identified less with the sophisticated sounds of studio and preferred live performances. Unemployed street kids were less interested in finesse and just wanted to rock. All this took place at a time when the Western World was experiencing the beginning of economic hardship. Clothes were less sophisticated and more shocking with footwear that had to be hard wearing and unisex e.g. 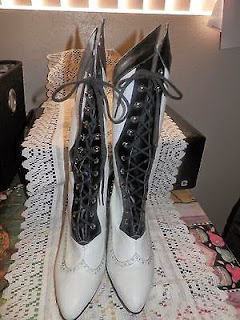 DM boots. Goths were a romantic hybrid of Punk and preferred all black clothing. Shoes were sharp pointed and sometimes they wore steel capped platforms. Then a new version of mods appeared defiant, unemployed but stylish Football Casuals of the chemical age wore extremely expensive designer clothes and loafer shoes or designer trainers. Most had no visible means of support suggesting many may have been involved in crime and particularly illicit drug trafficking.